If this was my obsession with food as a student, I’m sure that it is easy to deduce how my relationship with dishes became stronger once I started working. Every single occasion – be it getting a job, suffering a heartbreak, quitting my job, enrolling in a B-school or moving cities gave me ample scope and reasons to have lost kilos. But for me, food was bae and kilos were like that unwelcome guest who overstayed their duration. For Sr. T and I, our willingness to experiment with restaurants and its offerings was a strong reason to get married. With time, he has chosen to take the healthy route after realizing that I was never going to change. During pregnancy, my gynecologist in Bangalore was always concerned about me gaining too much weight on that already overweight frame. Fortunately for her, I suffered such severe nausea for the entire stretch of thirty-four weeks that I all I ended up eating was was mango and puffed rice. After Tuneer was born, people around me were highly optimistic that breastfeeding along with erratic eating and sleeping habits was mostly going to make me shed weight and get into a thinner frame. My daily routine definitely went for a toss but the love for Kolkata style Biriyani and chicken chap didn’t let me lose an inch. My writing job lets me spend hours at my working desk. While the brain is always working, the body seems to have gone into a deep slumber (except the eyes and fingers). The last ray of hope for these eternal optimist well-wishers was my sons’ school admissions since they could see that nothing much changed during his preschool year. Well, the inevitable happened in my case. Whenever I went to pick up an admission form, it definitely involved standing in long queues because very few schools in the city believe in the concept of online applications, forget championing Digital India. Once the process of grabbing the form was over (sometimes the schools ran out of forms), I would treat myself to my favorite pasta or momo or anything fancy that caught my eye in that eating joint before returning home. On the date of submission of the same form, I repeated the same schedule. Very soon the interviews started. After the first one that was all about stress and performance, I had started looking forward to these sessions of interaction. Once they got over, I took up the responsibility of planning a family breakfast or lunch based on the timing. Six months later, I am still at my desk with some extra kilos piled on during this rigorous process of school admissions. Unlike most of the parents, we have miserably failed to sweat it out at the admissions. Now that the process is over, Sr. T is extremely relieved about the prospect of not accompanying me for such frequent gastronomic adventures. Well-wishers are again hopeful about me getting another chance at losing weight as I start commuting with Tuneer to and from his school next week onwards. Little do they realize that I have already delved into making a list of the yet to be explored food outlets and their specialties in that area. Weight loss will probably have to wait for another life. Authors note – I am neither advocating unhealthy eating habits nor demeaning the need and desire to stay fit. But I strongly believe in body positivity by embracing myself as I am. If I don’t feel the need to lose weight, it is my choice. I am never going to let anyone else decide it for me. Thank you for reading and supporting me in this journey of A2Z challenge. Stay tuned as I return with a new post on ‘L’ tomorrow. Until then, you can catch up on the previous posts in this series here. I love to eat. Food makes me happy. I want to quickly go grab a chocolate now because it was mentioned in your post but sadly it is past midnight and also I am at my mom’s place, so no secret stash here. Wouldn’t mind some pani puri either. You post somehow reminds me of the first part of Eat Pray Love when I kept reading about oh so good delicacies and kept running out for a snack(no swiggy in those days). Now I really really want something to eat. Going going gone.. I loved reading this piece. Accepting and loving oneself is something that not many of us are able to do. You have highlighted such an important issue of Body positivity. In today’s selfie crazy world, it is really important to like your own body rather than compare it with some phitoshopped, chizell faced models. And I had just got a bread butter jam to eat while I read your post! True story. Sightly spooky because you sound a lot like me. Only that I am not comfortable with my current weight and do want to lose weight but severely lack the will power. Anyway, you write simple and clean. It is so easy to read your posts! This is so me, Sonia. Except the fact that the weighing scale tilts on the left for me. I love eating, different moods but the solution is one i.e. food..Nah good food. Enjoyed reading this. I love your attitude. I wish I could do the same for myself and quit worrying about weight. 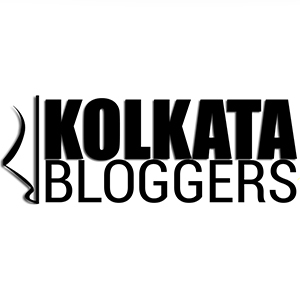 I visited first time to your blogpost and really it engrossed me throughout reading.Loved the end part of your post with such a strong positivity!!! A great post Sonia. Yes, it is your body and your choice. I have spent a lifetime feeling a little inadequate all the time. It did not help when people (including the mil) saying I am overweight compared to my husband. It has taken me 3 decades to overcome this feeling. Now I truly do not care what others think of me. My annual checkups show that I am ok. That is enough for me. I would suggest to you to take up yoga. It will make your body more flexible and light. It is a great mood-lifter too. I am telling with experience. I loved the author’s note … all about body positivity. If you love yourself then others will eventually love you. Right? I also go for food when I am stressed out. In fact, there was a time this year that for the whole month I either ordered from outside or we went out until hubby dear put a stop to it. Loved reading this. Good to know about the “Foodie” in you, it was really an interesting read, i also love to taste different foods of different places but never like Chat masala and phuchka and most of cold drinks, but samosa is my fav. I have a sedentary job too and I am overweight. But I do believe in the concept of accepting oneself the way he/she are. It is each individual’s choice whether to go to that Gym or get into that complicated Yoga posture to shed weight. Sometimes what irritates me no end is the unsolicited advice we get from so many people. A weel written piece. Very entertaining. I wrote two post today 😛 I am sure you will enjoy the poetry one, it is quite relatable. Such a fun way of putting across an extremely valid point. I used to be just like you all through school and college until adult life happened. Nonetheless no complaints, not then not now. Very amusing piece. I am also a foodie unlike you. But Now my body doesn’t allow me to eat more outdoor food. It reacts so I don’t eat more often. You speak for a lot of us, Sonia. Food is solace for most of us. Like you, we eat to celebrate and eat when we have nothing to celebrate. The tussle with the scale is constant here too. I have had quite a many friends who have dealt with or are dealing with weight issues and I know it is a hard task to keep positive, when everyone around you is going on continuously about the hazards of being over weight. I know that their are reasons why losing weight for some people doesn’t come easy. And for that a big hug to you. And yes do not succumb to body shamong and continue to live your life with that great smile plastered on your face. I really love it. Sigh… this I definitely relate to. Even when I was ill , I barely used to lose a kilo but under normal circumstances, no matter what I keep gaining weight…. my old fat pictures are basically just my present day SLIM pictures now. My exercise plan always stays in my mind but binge it gets immediatly executed. MI tell everyone that my kids have no contribution towards my weight gain but its my boring desk job and binge eating parallel. You over weight but happy is better than thin and irritable. Satiety and mood are related. Those who tend to eat a bit or eat a lot, may have other problems, but are generally happy. I am not encouraging you to eat more. But if it keeps you happy, I think it is ok. When I used to go for hike on the mountains, my friend would say a little heavy set hikers can go longer without eating and are more energetic. Compared to them, think guys tended to get cranky when they did not have their blood glucose replenished on time. This is purely anecdotal information. No pun intended to either think or heavy set people. Something I could totally relate too! I too have started out from being a reluctant eater to a passionate foodie. I even get up a few kilos heavier after dreaming about food! I hear you Sonia… Food for me, husband and my daughter (too now) is therapeutic… But in the last 2 years, I have evolved a lot on this front.. rather than running after shedding kilos I now believe in getting fit & healthy…Thanks to Luke(Mumbai based Holistic lifestyle expert), have picked up many healthy habits and alternatives. However, my learning journey started on a note of fear but now I think I am in a far better place myself. So, I would say, just love yourself the way you do, and remain healthy. More power to you! 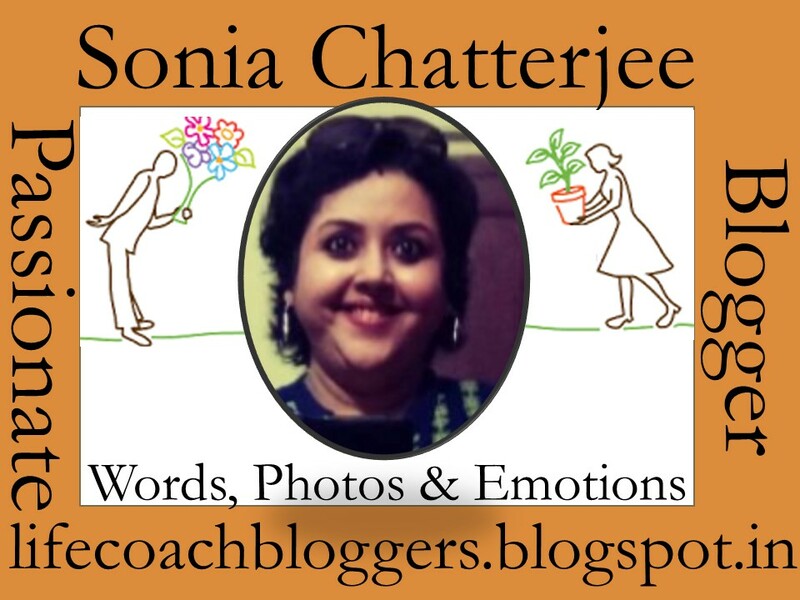 I so enjoyed reading this post, Sonia! And, that picture of you looking so lovingly at the food in front of you just shows how much you are crazy about food. You are a born foodie, just like my nephew. He is almost 10, and loves to eat –in short he lives to eat. And, so do you! ;P But, I liked what you wrote at the end–you embrace yourself as you are and the decision to lose weight or let it be is all yours. I believe, as long as you are healthy from within, weight has nothing to do with it–I mean, also as long as you aren’t bedridden coz of your weight, and leading a busy life. This is so sweet Sonia. I am a foodie too. I like to eat and when I eat I don’t see the quantity but just enjoy. Looking at our writing schedules, there need to be some of the physical exercises so I go for daily walks that flushes out the excess but still there is a lot to shed. Sonia, you are too good at this post. I read every word of yours and could imagined every situation. Emotional eating is also a great part of my habit too. Loved your attitude toward such weighty problems! 😛 The post was humorous, relatable, and relevant all at once. Oh Sonia, you made me chuckle with this post. Ok, for the major part of my life I’ve looked with dismay at the needle settling on the right side of the weighing scale. A year and a half ago I decided to change it all and ended up losing some 15 kgs. Amazing and gripping at the same time. Everytime you talked about a new phase I expected a twist but you didn’t disappoint even a bit 😂. Agreed it’s nobody’s business to preach and your right to decide, still I as a fellow blogger and friend will coarse you to get into healthy eating habits for a balance is always required 😊. Nice post. Half of the world is overweight and the other half starves. Its a balancing act. Ek hi life hai jo khana hai khao. Just loved this post. One has to embrace him/herself the way he or she is. Being overweight I do keep on trying to lose it but of course, my stress levels prevent me from losing it .. recently whenever I stare in Mirror over my bulges …my son has started coming and telling me “ you are beautiful from inside , you have the best heart.” Guess ! Time for me to learn. I recently got to eat Paati Shapta. I believe it’s a traditional Bengali sweet, right? It was awesome! Kinda like kulfi and rabri and cake, all rolled into one! Ummmmm! Btw, I am lagging behind. Will complete my L post tomorrow. Thank God it’s a Sunday! Cheers to all the foodies out there! Even I’m a food lover, love trying different stuff, specially the street food attracts me( the love for golgappe is unbeatable!). But in my case, people ask me, why don’t you put on some weight! It’s hilarious! People will always be concerned about our health but let’s embrace our body as it is. I was on the thinner side in childhood, but then puberty got thyroid. Though the deficiency is cured a long time ago, my weight and love for food never budged off. Post pregnancy I lost a considerable amount of weight, almost 18 kgs and that was the time people who called or considered me ‘healthy’, started advising to eat healthily, gain weight. The only advantage I have of these hiding curves is my height, at 5’6 it is easy to stay tall and even out the fat 🙂 and I cannot forgo my love of vadapav, samosa, kachori, bhajia. I can very well relate to your story! The first time I was away from home for studies in class 11 and 12…they didn’t serve anything except potatoes. I just became overweight eating those carbohydrates day in and day out. In college, I loved eating out every now and then but I started feeling lethargic and hence made exercise a part of my daily routine. I love exploring food joints but for the past 2 years, I have suffered from severe typhoid and gastroenteritis after eating outside that I have altogether stopped eating outside. He he.. I am a foodie as well.. 🙂 I am enjoying reading your posts. Each of them. 🙂 Hostel and new places: foodies always work out the best around!